For many, cigarette smoking is a habit formed in younger years. Although state-specific information about the health burden of smoking is valuable for implementing state-level initiatives to control cigarette smoking, smoking-attributable cancer mortality estimates have not been established by state. Therefore, researchers sought to calculate the proportion of cancer deaths among patients age 35 years and older related to cigarette smoking in 2014 in each state and the District of Columbia. For the study, investigators analyzed findings from large US prospective studies and state-specific smoking prevalence data from the Behavioral Risk Factor Surveillance Systems. 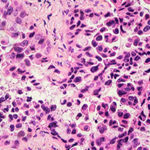 The population-attributable fraction (PAF) of cancer deaths due to cigarette smoking was calculated using relative risks for 12 smoking-related cancers, including acute myeloid leukemia and cancers of the oral cavity and pharynx; esophagus; stomach; colorectum; liver; pancreas; larynx; trachea, lung, and bronchus; cervix uteri; kidney and renal pelvis; and urinary bladder. The researchers estimated that at least 167,133 cancer deaths in the United States in 2014 (28.6% of all cancer deaths; 95% CI, 28.2-28.8) were related to tobacco smoking. Among men, results showed that the proportion of cancer deaths attributable to smoking ranged from 21.8% (95% CI, 19.9-23.5) in Utah to 39.5% (95% CI, 36.9-41.7) in Arkansas; however, at least 30% of cancer deaths were attributable to smoking in every state but Utah. Similarly, among women proportions ranged from 11.1% (95% CI, 9.6-12.3) in Utah to 29.0% (95% CI, 27.2-30.7) in Kentucky, and were at least 20% in all states except Utah, California, and Hawaii. The study further demonstrated that the proportion of cancer deaths attributable to smoking among men were highest in Arkansas, Louisiana, Tennessee, West Virginia, and Kentucky. Kentucky, Arkansas, Tennessee, Alaska, and Nevada had the highest rates of smoking-related cancer deaths in women. “Increasing tobacco control funding, implementing innovative new strategies, and strengthening tobacco control policies and programs, federally and in all states and localities, might further increase smoking cessation, decrease initiation, and reduce the future burden of morbidity and mortality associated with smoking-related cancers,” the authors conclude.